Sharia’s coming to get you. Two bold, ISIS-themed commercials—one real, one fake—have hit the air this week and in their different ways reveal the depth of American hysteria. Funny? Tasteless? Helps ISIS? Hurts ISIS? You can ask similar questions about this real ad, also starring black-clad terrorists: Tasteless? Helps congressional right-wingers? Hurts them? 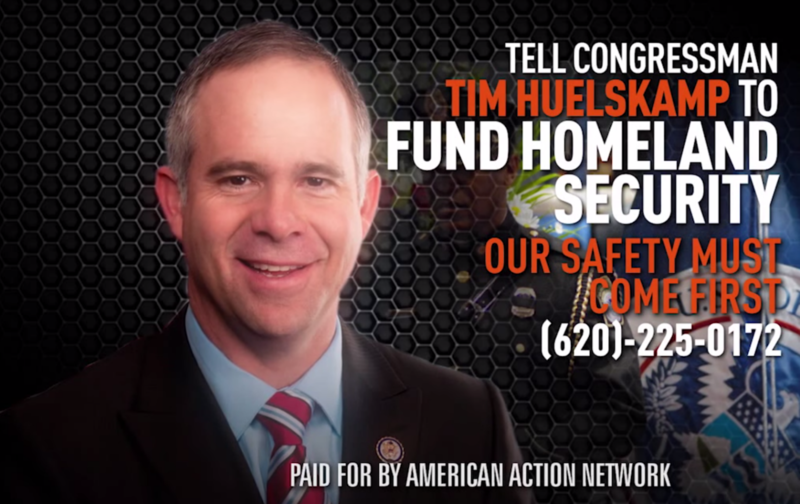 TV spots in the $400,000 campaign are running in the home states of Tea Party–friendly Representatives Tim Huelskamp, Jim Bridenstine and Jim Jordan, and related radio spots and robocalls are targeting dozens of other reps in conservative districts. These are the brainiacs who tried to shut down the Department of Homeland Security in order to (in their own minds) force Obama to reverse his executive action on immigration. The ads—and AAN implies there could be others that will spank unruly hardliners in the future—show Boehner finally, if temporarily, entering the arena with a one-two punch. He’s attacking his right flank (no more tears, no talk of his ouster as Speaker, for now) while simultaneously giving the finger to the left by appointing Bibi Netanyahu the new Republican president of the United States. Actually John Boehner is really letting his freak flag fly lately. When asked earlier this week if he’d let the House vote on a clean DHS bill, Boehner replied by pursing his lips and making kissy faces. Boehner’s been almost as nonchalant about these questions of import as the SNL ISIS skit was. But the latter’s been the source of more tsuris in media. Elisabeth Hasselbeck railed that there’s nothing “funny about ISIS”; Twitter was all over it, on both sides. H.A. Goodman wrote at the Huffington Post and said on Lawrence O’Donnell’s show that the SNL skit could do more to defeat ISIS than any bombing campaign—that through satire, “‘terror’ will finally lose its ability to gain followers.” Not true, countered terrorism analyst Evan Kohlmann. ISIS will love this ad. It makes them look glamorous, and surely the marketing-savvy terrorists figure, like Sarah Palin, that any publicity is good publicity when Lorne Michaels is involved. While SNL did an ISIS spoof in November, with Chris Rock, it’s brave of them to keep cranking them out. In the end, they’re bolder than Boehner.